Welshman Joe Calzaghe who beat them both. The winner of the duel between Veit and Brewer would be in line to face Calzaghe again. Boxing.de: Mario, a highly important fight is in front of you. How was your preparation? Mario Veit: This time I’ve trained throughout, almost without taking a break after my last fight on September 21st. I just slowed down things a bit for two weeks, then I resumed training. I feel real good now. I digested my last fight well. My entire preparation was very productive and without any injury. I hope it will stay that way. Is such a short break between fights useful or stressful? In general it’s useful not have long breaks between your fights. You still have all the movements and combinations in store if you are in full stride. But you must train in well thought doses. How would you describe Charles Brewer best? Brewer has a lot of fighting spirit. He is a permanent attacker who is coming forward, for twelve rounds if necessary. I have to use my strengths consequently to uncover his weaknesses. I have to counter and outbox him, then go out of his way. Did you find help by watching his fights on video? Did you watch the fight between Calzaghe and Brewer? I haven’t seen a lot of his fight against Calzaghe. It would not be a helpful comparison anyway because Joe is southpaw. 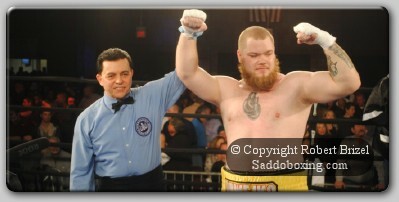 Brewer fought Sven Ottke twice who I know very well. But I can’t copy the style of Sven either. I can’t run as well as he can. I don’t mean this negative. Sven fought very smart. But that’s not my style. I will not walk backwards all the time. Instead I’ll use sidesteps and counter. It will be an entirely different fight than the one between Ottke and Brewer. You won the interim world title against Kabary Salem. The fight was extremely close. Were you satisfied with your performance? I overslept large parts of my fight against Kabary Salem. My preparations for this fight were turbulent. Originally I was scheduled to fight on April 24th in Los Angeles, on the undercard of Vitali Klitschko. We already moved to the US only to take the next flight back to Germany when I received the offer to fight for the WBO interim title on May 8th. That was a great chance and I definitely had to take it, even though it resulted in a relatively ugly fight between Kabary and me. Basically, I should have dominated Salem much better. But I was still weakened by the jetlag. I hate long distance flights and I didn’t have a lot of sparring then. As soon as Joe Calzaghe is moving up to light heavyweight you will be the full WBO world champion. But currently he doesn’t show the intention anymore to do this. Thanks a lot for this sideswipe. I have the feeling that Joe is the crucial problem of my entire professional career. He spoiled my career several times. [Calzaghe defeated Veit by knockout in April 2001] Instead of moving up to light heavyweight as announced he now defended his super middleweight title against Salem. But I try not to get distracted by those thoughts. I want to mind my own business. Calzaghe won a unanimous decision against Salem. Did you see that fight? I didn’t see it but I read a report. It sounded like it was quite an exciting fight. I couldn’t believe that Kabary was able to knock down Calzaghe. He couldn’t do the same to me. 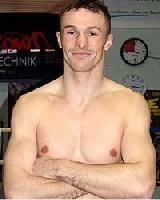 Another German super middleweight contender, Markus Beyer, reclaimed the WBC title two weeks ago. Do you have an opinion on Beyer and that fight? Of course I have an opinion on Markus Beyer. The course of his second fight against Sanavia was almost identical to their first encounter. Up to the round where Markus shortly displayed his true potential. At that point it was over very quickly. I’m glad he was finally able to perform according to his real potential. Markus is determined and a very nice guy. And he can box very well. He was just not able to display his skills very often in the recent past. However, in case he reads this interview: My warmest congratulation! Didn’t you fight Beyer in the amateurs? Yes. We fought each other many times. If I remember correctly he won three times and I won three times. Whether we’re ever going to fight each other in the professionals remains to be seen. You can’t rule it out. If it happens this would be o.k. If not: Doesn’t matter either. How do you want to defeat Charles Brewer? 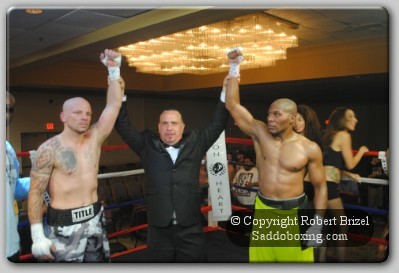 After my last fight my coach Fritz Sdunek and me worked on several tactical alternatives. I have a lot of respect for Brewer. He is a real hard puncher. I have to take care of my defense and my movement. I want to outbox him consequently, then go out of his way. Previous Exclusive Interview: Anthony ‘The Warrior’ Farnell. Next Frank Maloney – Scott Harrison’s Magnificent Year.